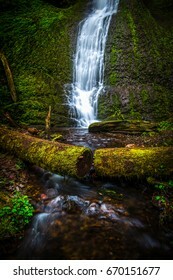 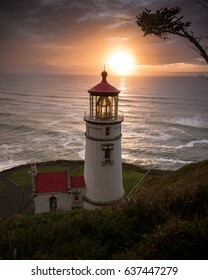 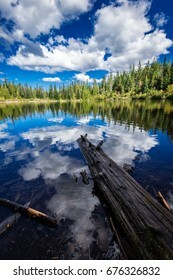 I am located in the Pacific Northwest photographing landscapes as I go. 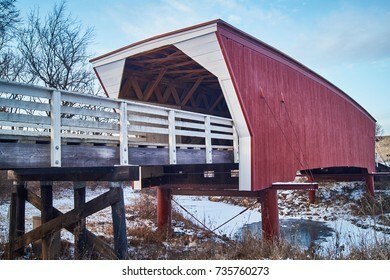 Originally from the Midwest living through all of the seasons! 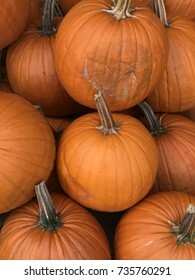 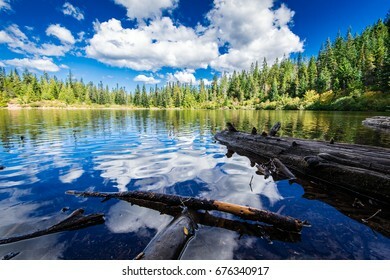 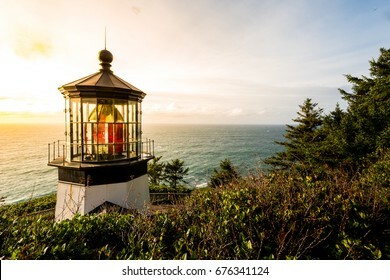 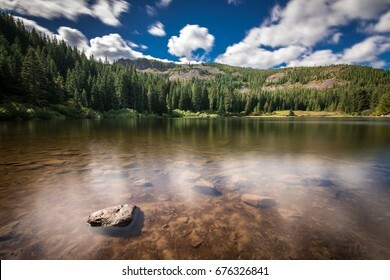 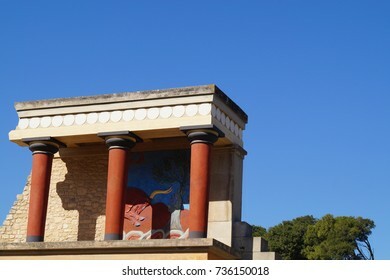 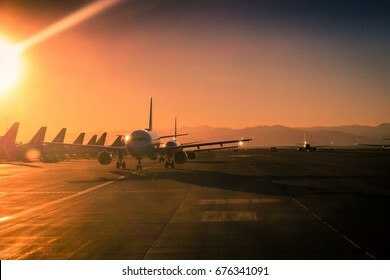 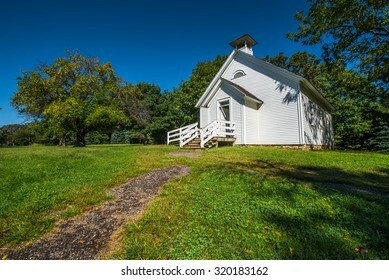 340 stock photos, vectors, and illustrations are available royalty-free. 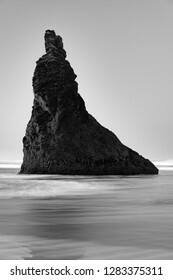 Black and White photo of Howling Dog rock on the beach in Bandon, Oregon with a wave rushing through the foreground. 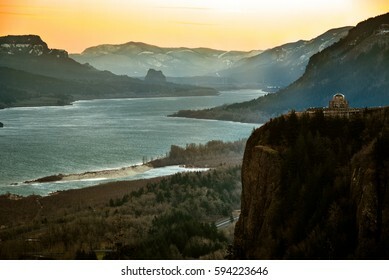 Looking into the White River valley on Mt. 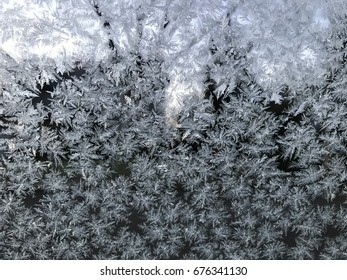 Hood during the winter morning on a blue sky day with frost covered trees. 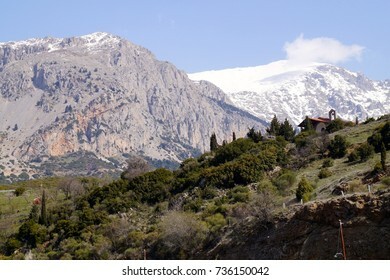 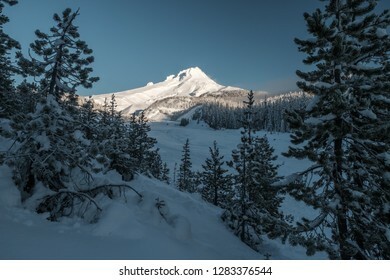 A view through the trees of Mt. 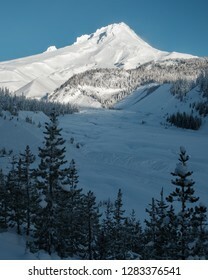 Hood during a frosty, snowy, and clear blue sky day in the winter. 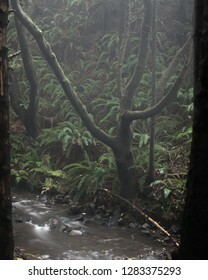 A creepy tree reaches out above a stream in a coastal Oregon forest. 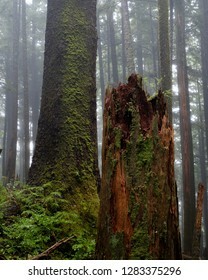 A broken tree stands in contrast to a larger tree still standing in the background. 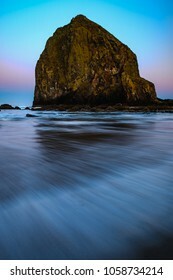 Howling dog seasick in Bandon, Oregon during a colorful sunrise as the waves and tide come in. 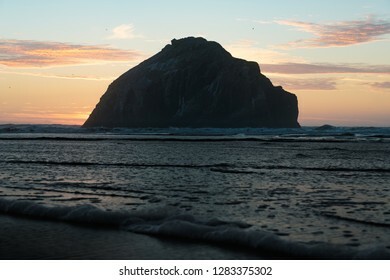 Face Rock sunset with wave in the foreground. 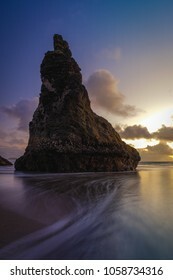 Photograph from the beach in Bandon, Oregon on the Oregon Coast. 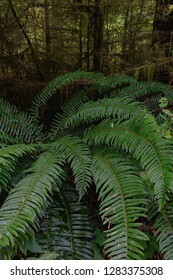 Sword ferns pointing towards a mossy background as sunlight streams through the branches. 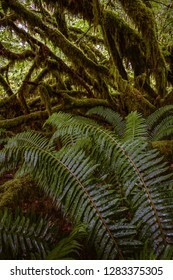 The ferns in the foreground spin around while a dark and creepy forest intertwines in the background. 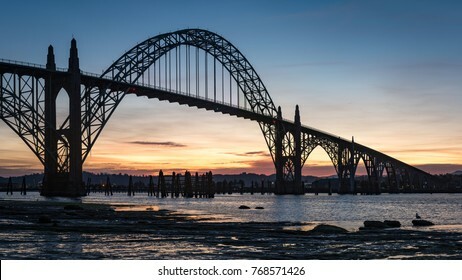 Newport bridge in Oregon during an early morning sunrise with the bridge in silhouette. 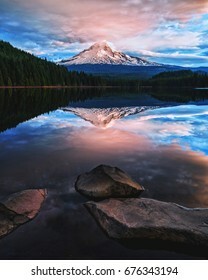 Sunset on Mt Hood in Oregon seen from lost lake resort. 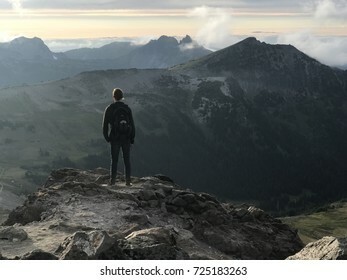 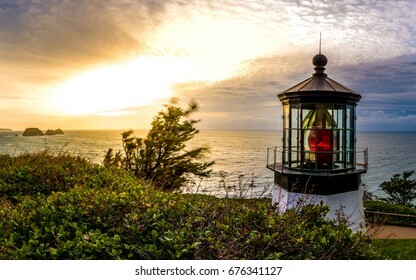 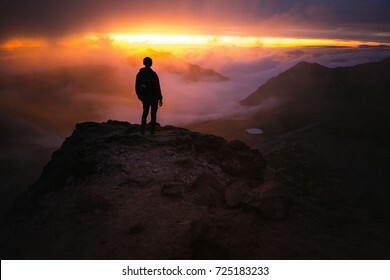 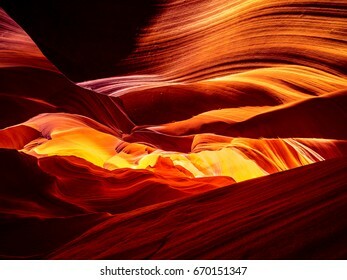 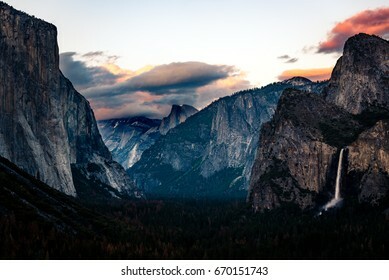 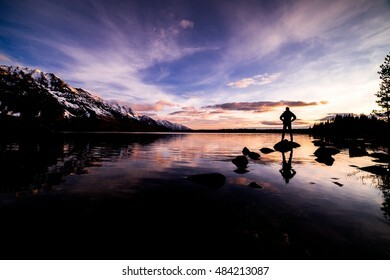 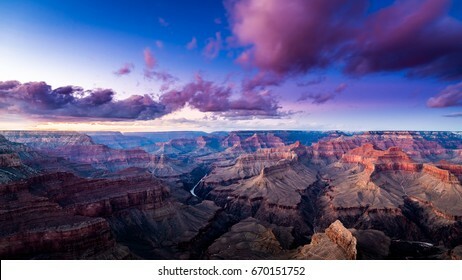 Person standing on the edge of a cliff during sunset while behind a silhouette to the beautiful colors of the clouds around them and the dark rocks leading up towards them in beautiful detail. 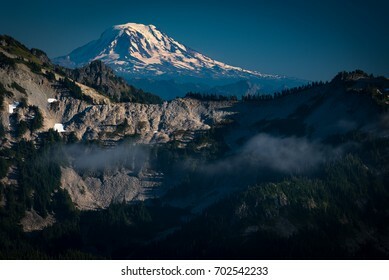 Standing on the edge of a cliff overlooking the Northern parts of the Cascade Mountain Range in Mount Rainier National Park towards the sunset and within Golden Hour. 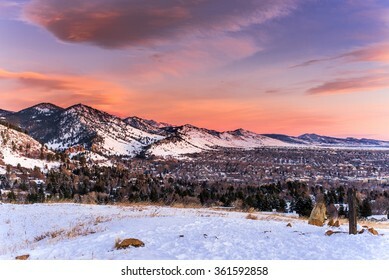 Sunrise over Boulder, Colorado in the wintery mountains. 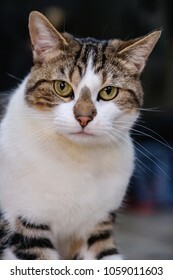 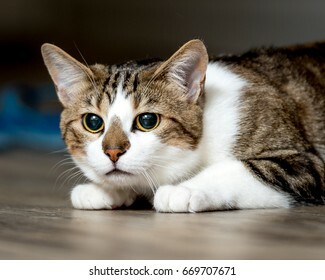 Cute domestic shorthair cat staring at the camera with green eyes. 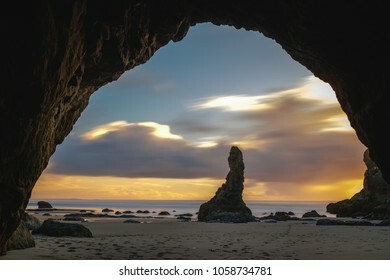 Bandon Beach on the Oregon Coast framing a sea stack in a sea cave during the early hour of sunset over the Pacific Ocean. 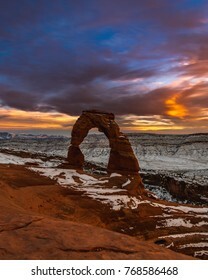 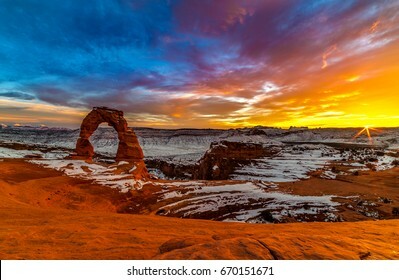 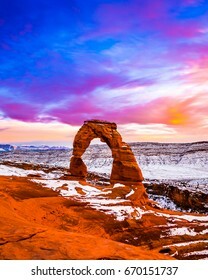 Sunset in Moab, Utah around Delicate Arch during the winter season as snow blankets the area. 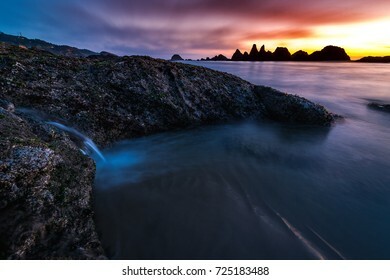 Low tide at Seal Rock on the Oregon Coast as the sun sets creating a nice glow in the clouds on the horizon as the water empties from a tide pool to the left making a tiny waterfall. 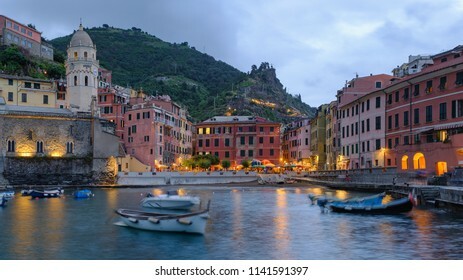 Vernazza in Cinque Terre Italy and its harbor during the early evening with boats rocking and clouds on the horizon. 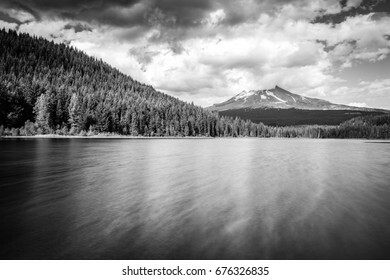 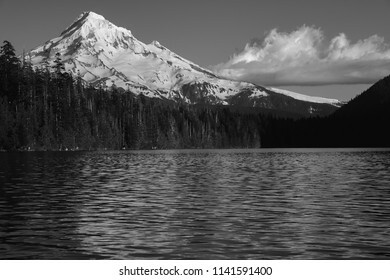 Mt Hood in black and white with a cloud on the horizon seen from Lost Lake Resort in Oregon. 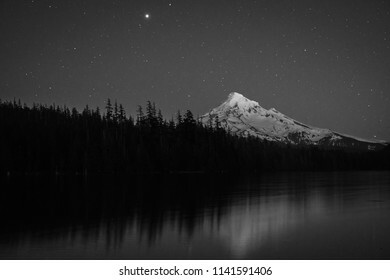 A black and white image of Mt Hood during the start of the stars coming out and Jupiter shining above the horizon. 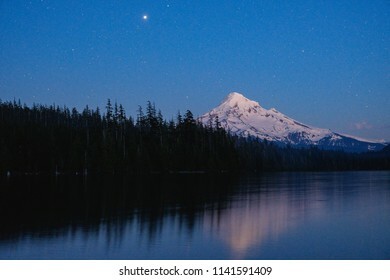 Mt Hood on a clear night with the stars starting to come out after late blue hour by lost lake resort in oregon. 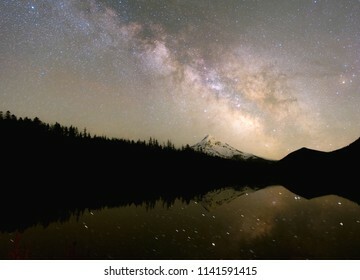 The milky way rising above Mt Hood in Oregon by Lost Lake Resort on a clear night in the spring. 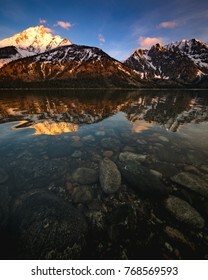 Jenny Lake in the Grand Teton National Park during sunrise with light hitting the peaks of the mountain early Spring. 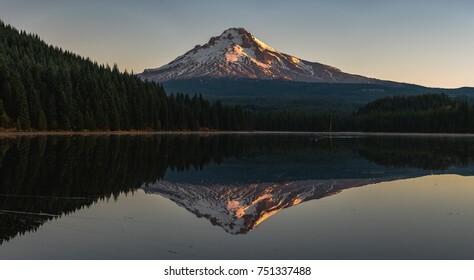 Fishermen in a small boat on Trillium Lake at sunrise as the mountain basks in the glowing reflection in the foreground. 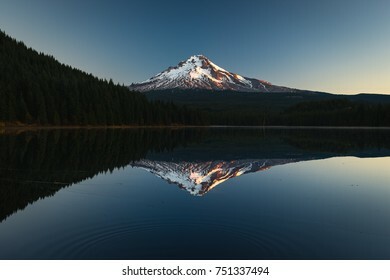 A perfect reflection of Mt. 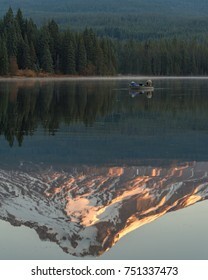 Hood in the early morning sunrise as ripples go in the foreground. 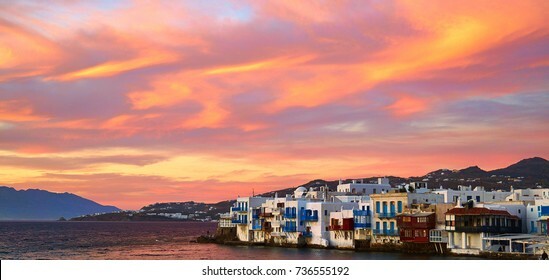 Mykonos sunset over the Little Venice buildings next to the sea with mountains behind them in the background. 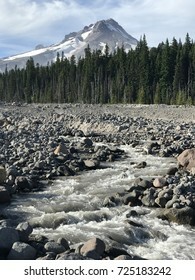 White River Snow Park during the late summer with Mt. 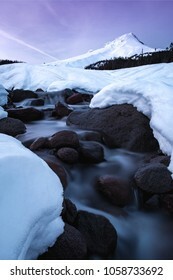 Hood in the background as the glacial melt water flows in the foreground. 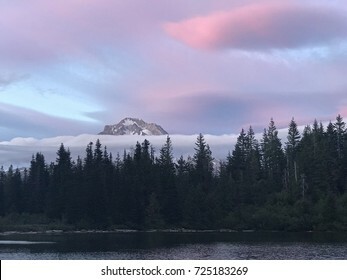 Mount Hood National Forest and Mirror Lake as the sun sets and the clouds light up in color over the peak of the volcanic mountain poking above the tree line during sunset. 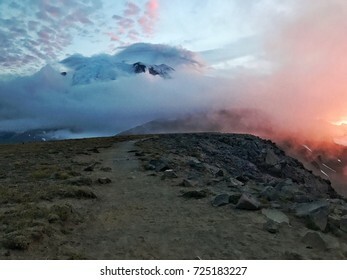 Mount Rainier National Park during a cloudy sunset shows it's peak in a real in the clouds while stunning colors engulf the scene as a trail leads the eye towards the mountain itself. 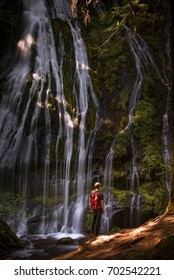 Panther Creek Falls with a hiker standing in awe. 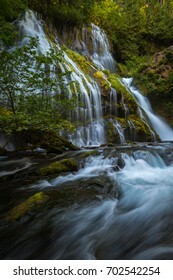 Panther Creek Falls flowing during the late summer months glowing in the sunlight. 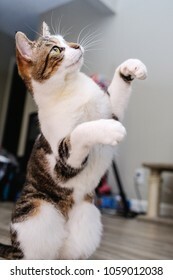 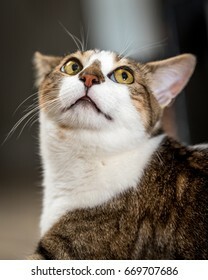 Domestic shorthair cat standing on hind legs with front paws in the air trying to play with a toy that is above her. 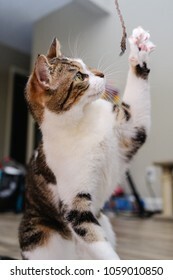 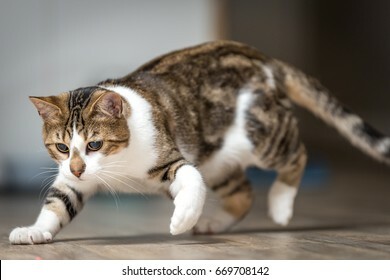 Playful domestic shorthair cat playing with a tattered string. 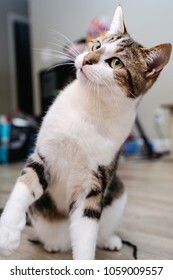 Playful cat looking off camera in a funny way. 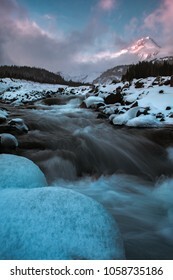 Chunks of ice in the foreground as the white river runs towards Mount Hood in Oregon during sunset with clouds sweeping through the landscape. 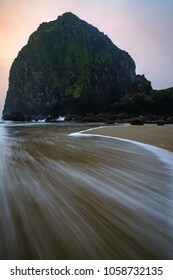 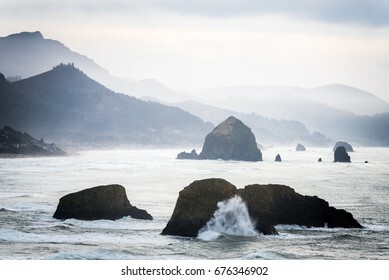 Cannon Beach during the early glow of sunrise as a wave runs into the foreground with power. 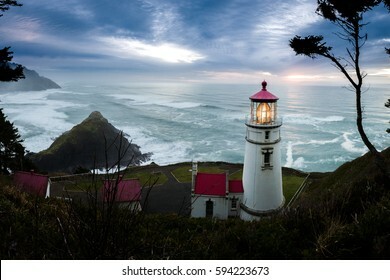 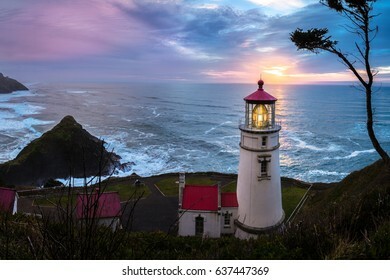 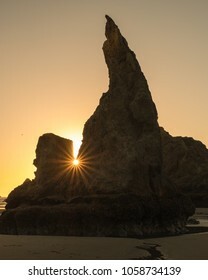 Sunset near face rock in Bandon Oregon on the Pacific Ocean coast. 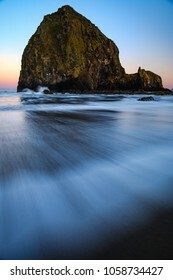 Cannon Beach during the early glow of sunrise. 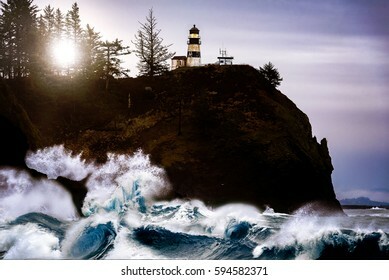 On the horizon it is purply with sweeping waves in the foreground. 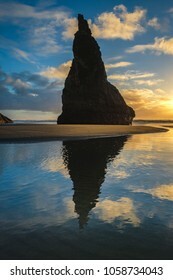 The howling dog or wizards hat in Bandon Beach on the Oregon Coast next to Face Rock. 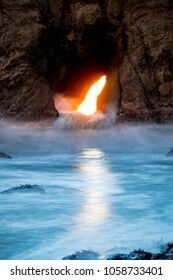 Silhouetted against the sunset with a sunstar through the rocks. 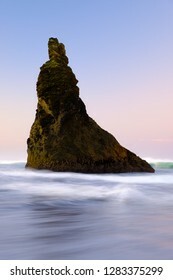 A strong shape of Wizards Hat opposite of Howling Dog on Bandon Beach in Oregon on the Pacific Ocean. 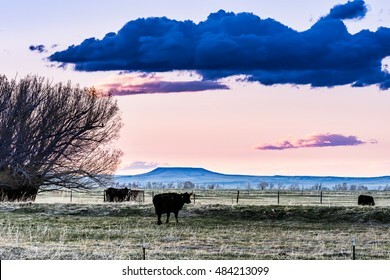 Sunset and fluffy clouds in the background. 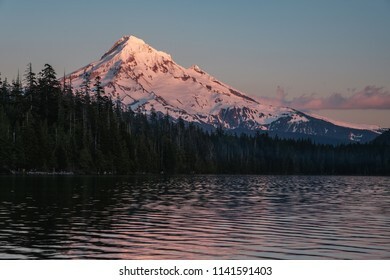 Deep snow pack at White River West Snow Park in Oregon under the shadow of Mt Hood during a peaceful sunset. 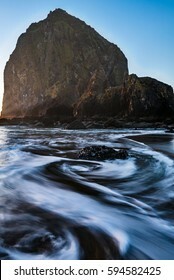 Waves rushing through a narrow gap in a rock during sunset on the Pacific Coast in Bandon Oregon. 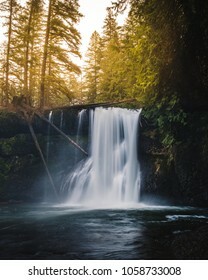 Upper North Falls in Silver Falls State Park in Oregon during sunset as golden light stream in behind the waterfall. 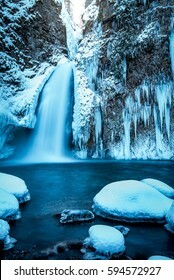 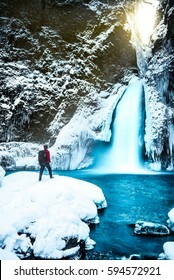 Winter Falls in Silver Falls State Park during a winter freeze in Oregon. 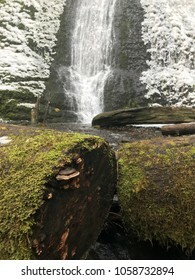 A broken log with a fungus growing out of it is in the foreground. 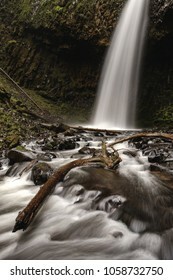 Upper Latourell Falls in the Columbia River Gorge in Oregon showing the river slowing from the lower half of the falls. 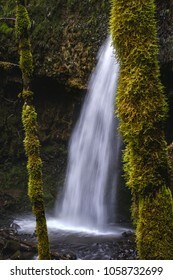 Upper Latourell Falls in the Columbia River Gorge in Oregon photographed through the trees with moss covering everything. 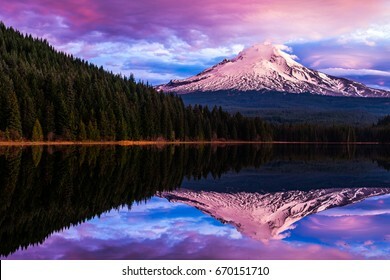 A purple sunset on Mt Hood in Oregon shot with the foreground of White River West Snow Park. 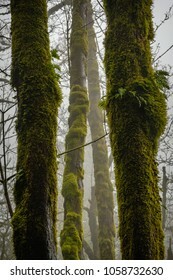 Trees in the fog showing strong vertical lines as small ferns grow out of the sides. 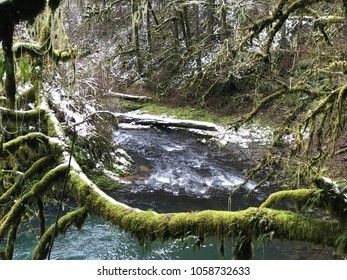 Silver Falls State Park in Oregon during a snow event showing off the river after Middle Falls taking a bend with a snow covered tree in the foreground. 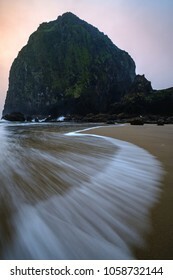 Sunset through the fog at Cannon Beach in Oregon with a fast moving wave in the foreground. 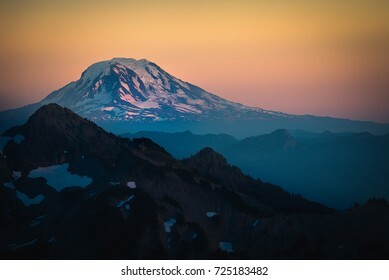 The early morning red light glowing on Mt. 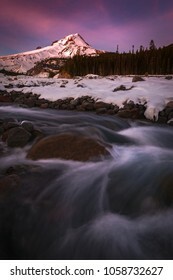 Hood mid December with a fair amount of snow around White River. 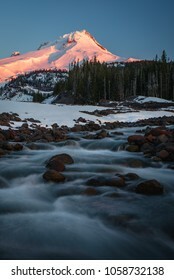 Silvery light shinning through the clouds in Mt Hood National Forest territory as the last hours of the day go. 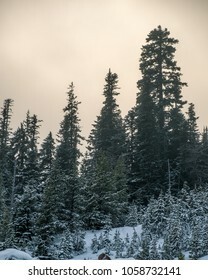 Snow covered trees in the foreground. 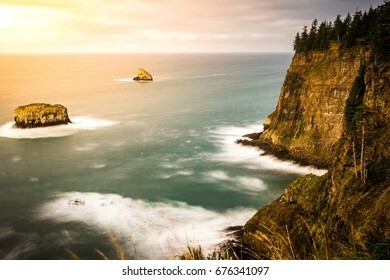 Sunset through the fog at Cannon Beach in Oregon with a snaking wave weaving a leading line through the foreground of the image. 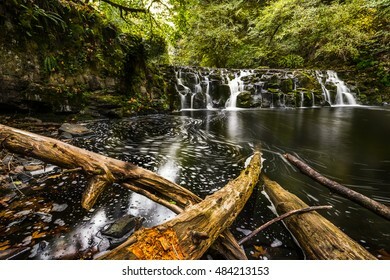 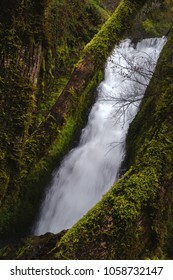 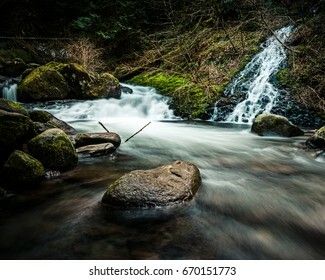 Bridal Veil Falls in Oregon part of the unaffected parts of the Columbia River Gorge after the wildfire in 2017 framed between moss covered tree limbs. 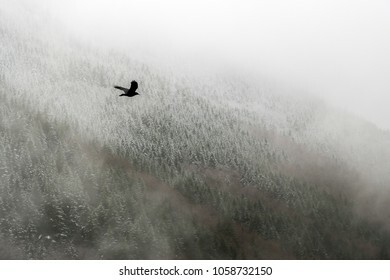 A crow flying against the background of heavy clouds and snow covered trees. 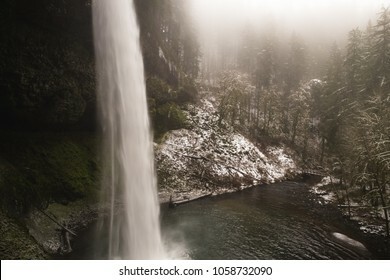 South Falls in Silver Falls State Park in Oregon shot during a snowfall event with light fog in the background creating atmosphere. 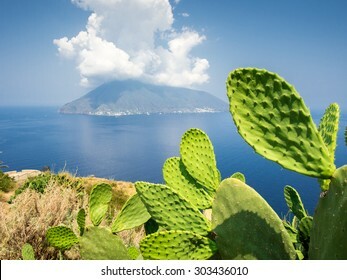 Cactus on the island of Lipari shot towards another island with clouds. 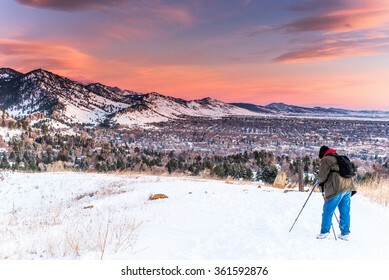 Photographer with a tripod during the winter a sunrise near Boulder, Colorado in the mountains.